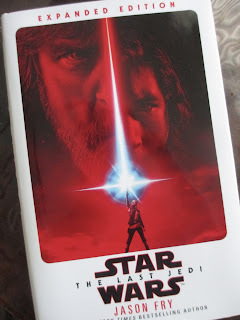 I'm a little late to be coming in with my post here, but wasn't the novelization for The Last Jedi great? Jason Fry is one of those Star Wars writers that I get excited about; he cuts to the core of characters and stays there. 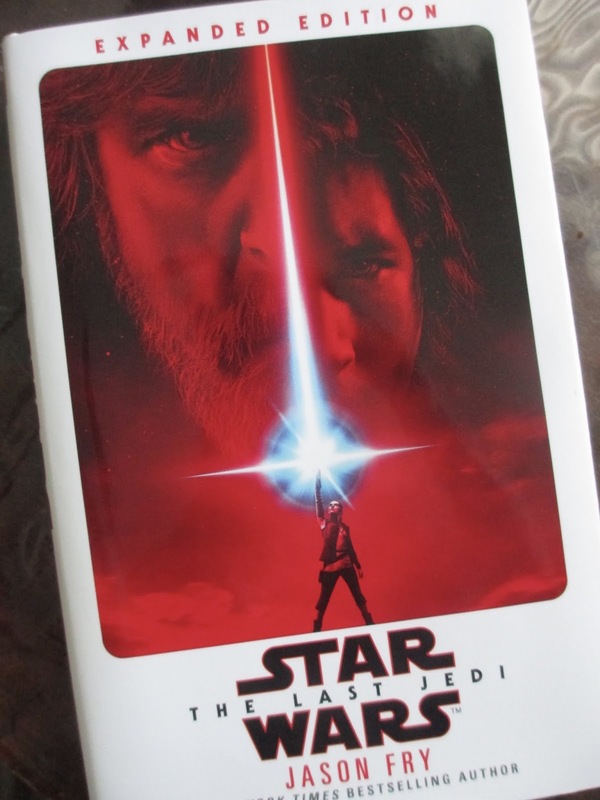 Even though all novelizations include (or at least, they generally include and should include) some extra bits, this one was marketed as being an "Expanded Edition," as if it had even more than usual. I'm not even sure if it does--likely it doesn't. But it feels like it does, and that's exciting enough. The Last Jedi was very much an in-the-heads-of-the-characters type of movie to begin with, so it lends well to a novelization. Though, of course, we still had that fine line of treading: in certain moments, for instance, you hear what other characters are thinking rather than hearing what Kylo is thinking. Interesting that we even hear Snoke's thoughts sometimes above Kylo's. Kylo has to still have some mystery about him; there are still things that we don't know for sure. Speaking of Kylo, if anyone still did not like his character after the film, grab this book. It fleshes out everything that the film pushes the audience to think and further explains not just Kylo himself but other characters' thoughts towards him. Particularly interesting was learning that Snoke wasn't using Kylo in the sense of using him for his powers but rather using him to push Luke away--which makes sense to learn because that's why Snoke didn't see Kylo as a threat to him. He just wasn't viewing things through that angle. The more I think about the film (I haven't watched my brand new Blu-Ray yet, so I haven't seen the movie since January), the more I think that I prefer the pod-racing in Episode I to the whole fathier sequence. Yes, the fathier bit had theme, but the pod-racing had characterization and it also had my beloved Tatooine landscape to look at. With that said, the whole Cantonica bit and all of the Rose and Finn scenes played out better on page than on screen. On screen, I got the themes and I liked Finn and I liked Rose, but I was always looking for their scenes to end more quickly. On page, it was all very beautiful and Star Wars-y. Maybe it's actually seeing how Rose's thoughts about Finn change with each moment that helped. Certain of the extra scenes from the novelization did appear on the Deleted Scenes, like the whole celebration bit on the island. And the rest? It's definitely enough to want to read through this book; put together, it gives a whole further angle to the movie. As far as guessing about what's in store for the future, this book does remain a must-read even if it the same story we've already seen retold on page.